The White Mountains in New Hampshire. That drive to Maine or the White Mountains might get more expensive. New Hampshire is considering raising its highway tolls — and banking on out-of-state residents to shoulder much of the load. New Hampshire is considering its first significant toll increase in a decade, a 27 percent hike, or 25 to 50 cents, at most booths. The highest, at Hampton, would go to $2.50 for passenger cars. The state estimates drivers from Massachusetts and other states would account for more than half of the higher payments. 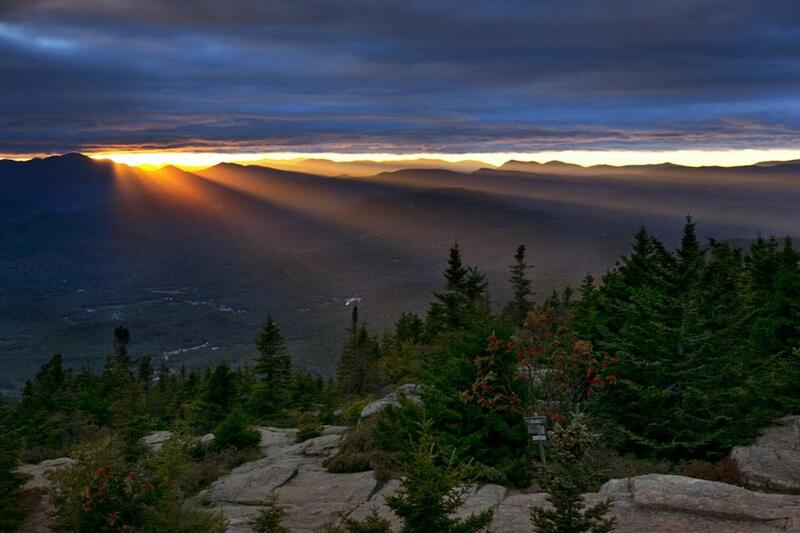 The proposed hike is proving contentious in New Hampshire. It could receive a vote as soon as Wednesday from the state’s Executive Council, a five-member elected board tasked with approving certain state actions; the idea originated with one of its members, a Republican. Republican Governor Chris Sununu has told New Hampshire media that he opposes the tolls but does not plan to stand in the way of the executive council’s discussions. The state estimates that the toll hike could boost revenue by an additional $36 million a year and be used to help pay for road projects and upkeep. Last year, the state collected about $128 million in tolls. But New Hampshire is assuring its residents that out-of-towners would bear the brunt of it. In a document detailing the hike, the state figures that drivers from out of state would account for 54 percent of the new revenue. And the plan comes with a leg up for frequent drivers on the state’s highways: Owners of electronic transponders issued by New Hampshire would get 10 free trips through the tolls after their first 40 in a month. Owners of these state-issued transponders already receive a 30 percent discount at New Hampshire tolls. Similarly, owners of transponders in Massachusetts and Rhode Island get discounts at certain tolls in other states. Officials in each state point out that drivers don’t need to be a resident to get their transponders and could theoretically get the discounts even if you were driving from a neighboring location. For example, a northern Massachusetts resident who commutes through tolls in New Hampshire could receive the discount as long as they own a transponder issued by the Granite State. That’s different from discounts aimed at specific residents of states or towns — such as a discount on Ted Williams Tunnel and Tobin Bridge tolls for residents of certain Boston neighborhoods and suburbs, or one in Newport for Rhode Island residents. Those residential discounts have been challenged in federal court in the past, with attorneys arguing they violate the Constitution for out-of-state residents. The courts have generally upheld the discounts. With huge towers planned on either end of Canal Street, Boston is considering making the popular street near TD Garden and North Station more pedestrian friendly. Among the short-term changes under consideration are encouraging more restaurants to do more outdoor seating and allow more street vendors on the sidewalks. And later, perhaps within six to 10 years, the city could extend the sidewalk, reducing space for vehicles and parking, to make the stretch even more wide open for walkers. The goal would be to rebuild the street in such a way that would make drivers feel like “they are intruding on a pedestrian space,” according to a transportation plan for the North Station area released Wednesday. Gina Fiandaca, the city’s transportation commissioner, said the plans for the street are not final. Restaurants along the street already attract crowds for games and shows at TD Garden. But new buildings, at the north end near the station, and the south end closer to Haymarket, could add nearly 1,000 pedestrians in the morning, and and 2,000 in the afternoon. The city earlier this year closed the street to vehicles for a day, duplicating an experiment on Newbury Street to make stretches of road pedestrian-only. The city expects another “Open Canal Street” event next spring or summer, but Fiandaca said it isn’t current planning to outright ban vehicles from the street. “Longer term it would probably take some sort of shared approach, with reduced vehicular traffic,” she said. “Canal Street has generous space that would support a shared use” between pedestrians and vehicles. The North Station transportation study also included calls for more bike lanes, improved pedestrian access around Charles Circle, and a shuttle to Logan Airport from North Station.